Abigail Birmingham was born on 27th November 1998 weighing in at 10lb 4oz. 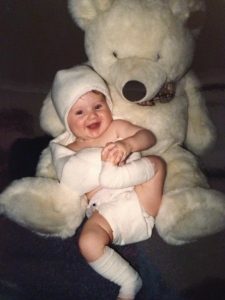 After two attempts at IVF her parents, Lee & Julie were like every new parent – elated, but the birth did not go to plan and they were left devastated after the Doctors told them that she had something called “Erb’s Palsy” in her right arm. After numerous physio appointments in Wakefield, Abigail was referred to a specialist in Leeds and the family met with Mr. Kay (as he was then, but is now, quite rightly Professor Kay OBE) he advised that she would need surgery. They had also been issued with a “leaflet” about Erb’s Palsy and one Sunday evening made a phone call to Karen – the group have been an integral part of the Birmingham family life ever since. just before the date, she developed Bi-Lateral Pneumonia and suspected Meningitis and was admitted to hospital and placed in isolation. Once she was given the all clear, the operation took place at LGI. Professor Kay OBE was fabulous with Abigail, Lee & Julie and now 20 years later, Abigail is going from strength to strength and is now on the way to building her own business empire. Abigail has always been very determined – she passed her automatic driving test after 6 months – but totally undeterred she decided she wanted to also do her test again in a manual car – which she also passed first time. 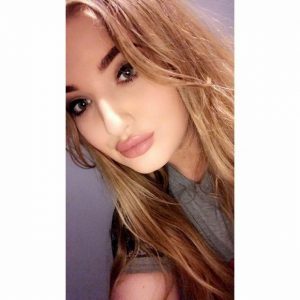 She knew she would do something creative and following very good results in her GCSEs applied and was accepted into the prestigious Yorkshire College of Beauty in Leeds. 2 years later, after becoming an apprentice she graduated as a fully qualified beautician. As part of her apprenticeship she spent hours upon hours in salons – cleaning, learning, watching, practising but all the time thinking of the bigger picture. She didn’t want to be in a salon working for someone else, she wanted to be her own boss. Adorable Beauty (A B her initials) was born. A family friend had her own hair salon in the area and offered Abigail the chance to “rent” the upstairs 2 days per week where she could work and start to build her own client base. Not only did she have to do beauty but she had to start to understand business as well. After roughly 6 months, Abigail who had also set up a Facebook page, a twitter account and an Instagram page for the business found that she simply did not have enough time for all her clients in the salon so started to go “mobile” as well as working with clients at her parents’ house. The opportunity to move full time into the salon was grasped and she signed a contract to run Adorable Beauty full time from a base in the building. She also branched out into wedding make up and other special occasions such as School Proms and Halloween Special Effects. Reviews and feedback had started to come in thick and fast and her client base was growing daily. Customers would talk to friends and colleagues and people were starting to “rave” about their treatments from her – Lashes, Make Up, Nails, Tanning, Waxing – all gaining 5* reviews. She began to work with other organisations in the community, supporting charities and events and this gained the attention of the local media and the local MP. 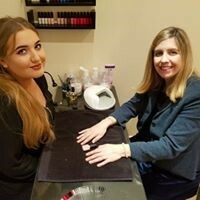 As her business continues to grow, Abigail has not sat back on her laurels, she has undertaken further training and gained more qualifications in various other techniques – she is about to become a Temple Spa Consultant. All this, and she has Erb’s Palsy too – but that just does not stop her!